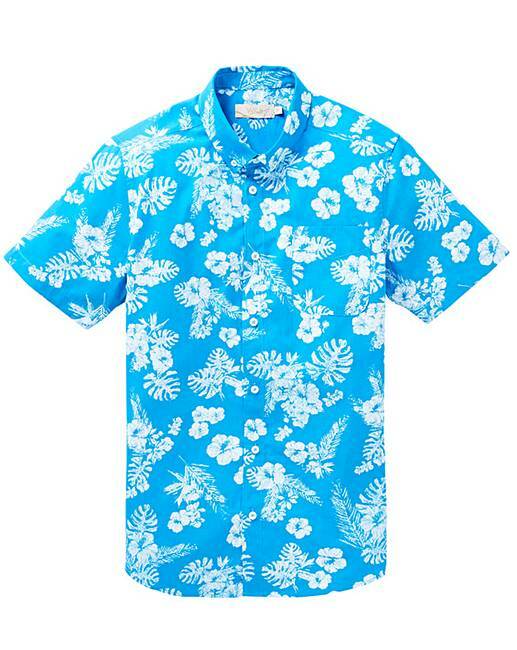 Short Sleeve Floral Shirt is rated 4.8 out of 5 by 6. All over floral print short sleeve shirt with button front fasten and one chest pocket. Rated 5 out of 5 by Shopoholic1 from Great looking summer shirt Purchased this for my husband for holidays. Loves it. Rated 5 out of 5 by Chef from Has buttons. So well made & fits perfectly. I wanted to say just that but apparently, my description was too short. Rated 4 out of 5 by Coops58 from Wrong size The shirt was purchased within a group of 5 sadly this one dispute saying 2xl was to small could of returned it but gave it as a present to friend as was perfect fit for them great style . Rated 5 out of 5 by Gareth from Lovely fit. Bought this for my holiday..great fit and quality.